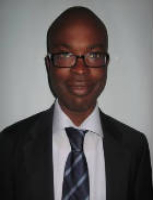 Gbolade is a financial analyst at ExxonMobil Nigeria responsible for Joint Interest activities. Prior to taking up his current position, he worked as an Associate at McKinsey & Company’s Sub-Sahara Africa practice in Johannesburg and PRI Project Development LLC’s New York office. Gbolade hold’s a B.S in Management & Accounting from Obafemi Awolowo University in Nigeria and a MBA in Finance, Strategy & Emerging Markets from Columbia Business School in New York. He is a native of Nigeria and joined the YPE Leadership Team in 2009.